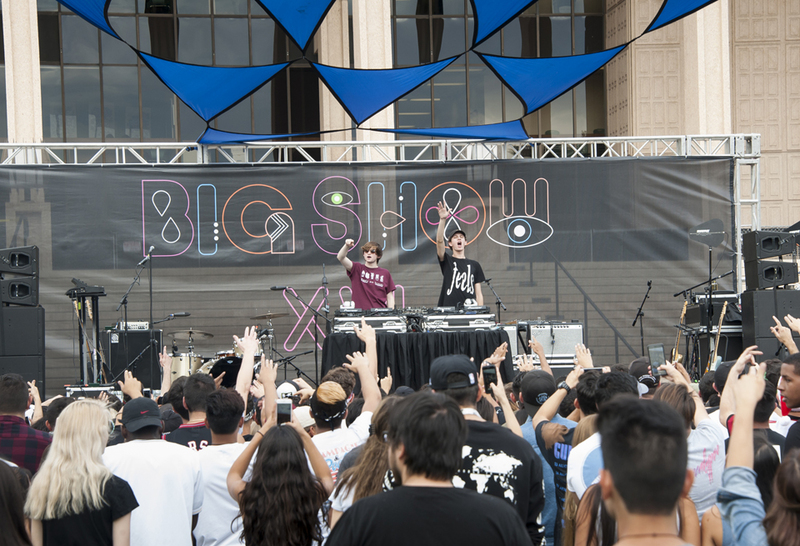 EDM duo Louis the Child opens Big Show. Photo by David Hawkins. 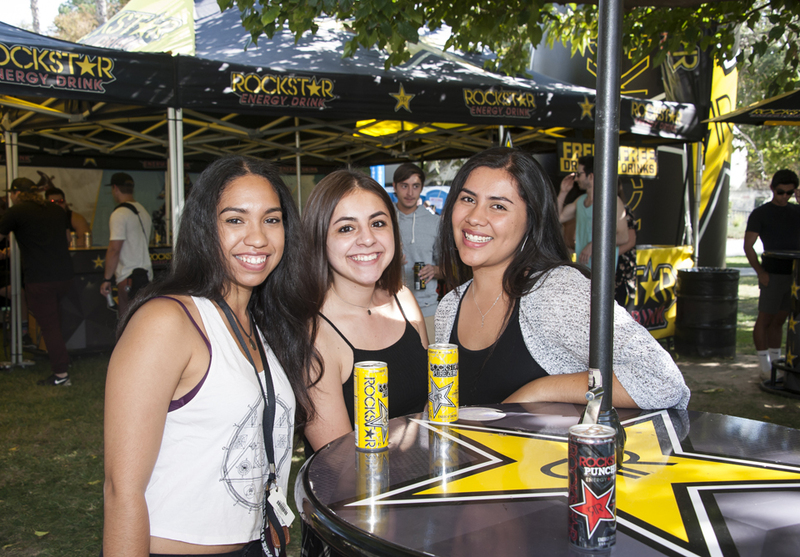 Students at the Rockstar Energy Drink tent at Big Show. Photo by David Hawkins. 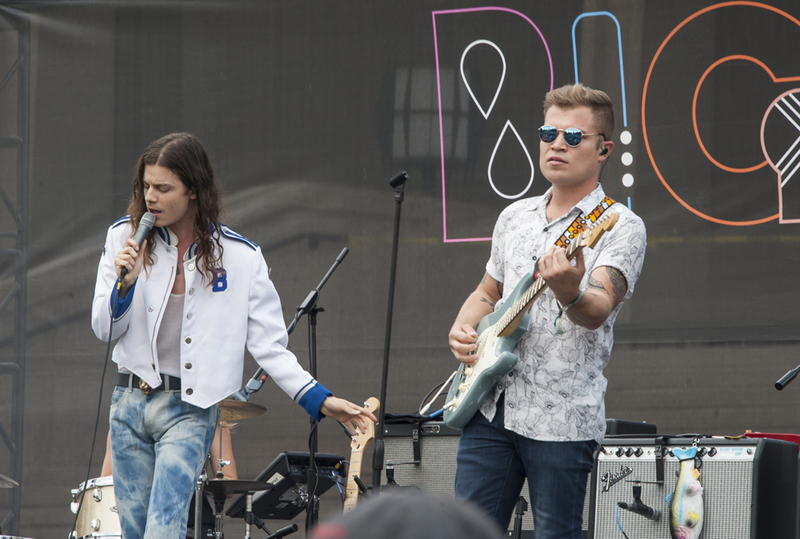 Indie artist BØRNS performs on stage. Photo by David Hawkins. Radio Station Real 92.3 Los Angeles were giving away T-shirts, hats and Knotts Scary Farm tickets. Photo by David Hawkins. 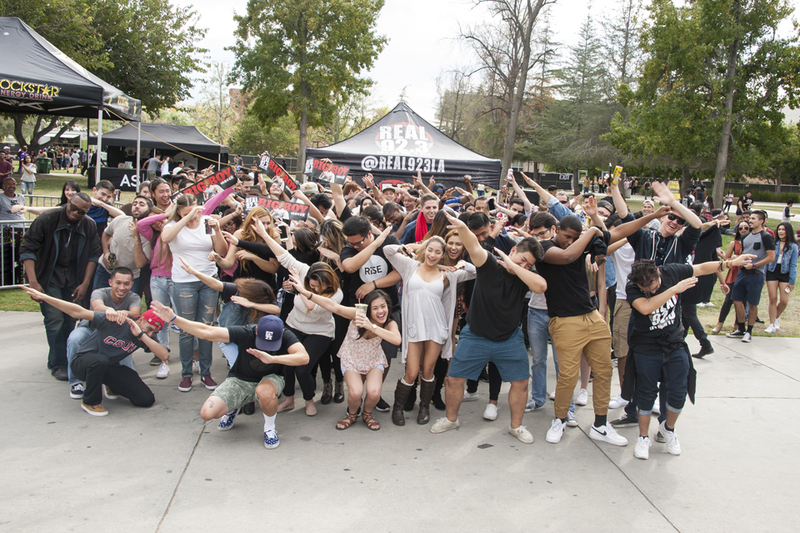 Big Show attendants dab in front of Real 92.3 LA tent. Photo by David Hawkins. 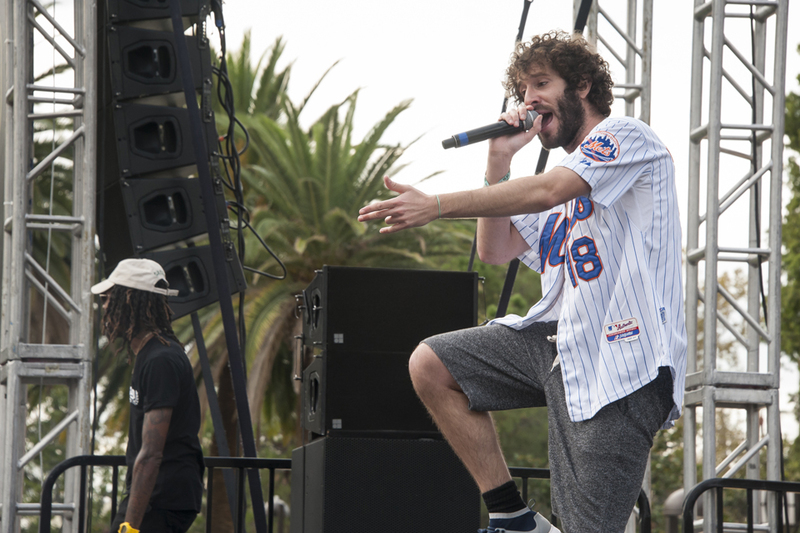 Rapper Lil Dicky performs on stage. Photo by David Hawkins. 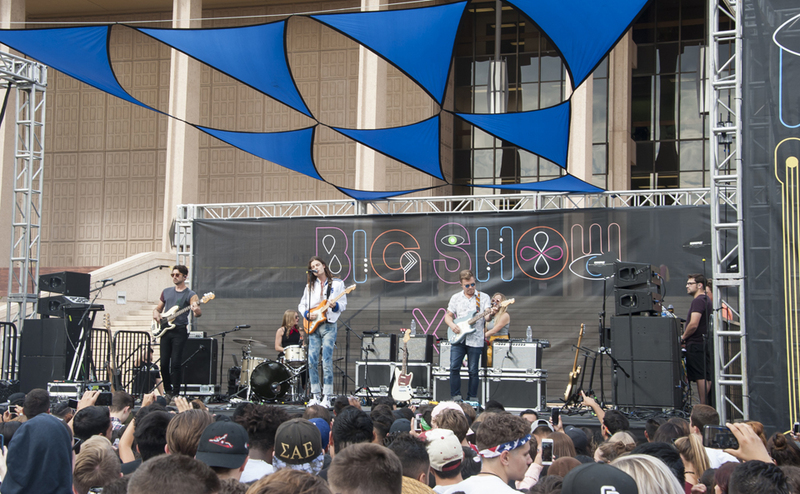 Long lines formed at California State University, Northridge outside of Manzanita Hall and Live Oak Hall on Oct. 23 as approximately 2,500 students and community members awaited entry to the highly anticipated 16th Annual CSUN Big Show. 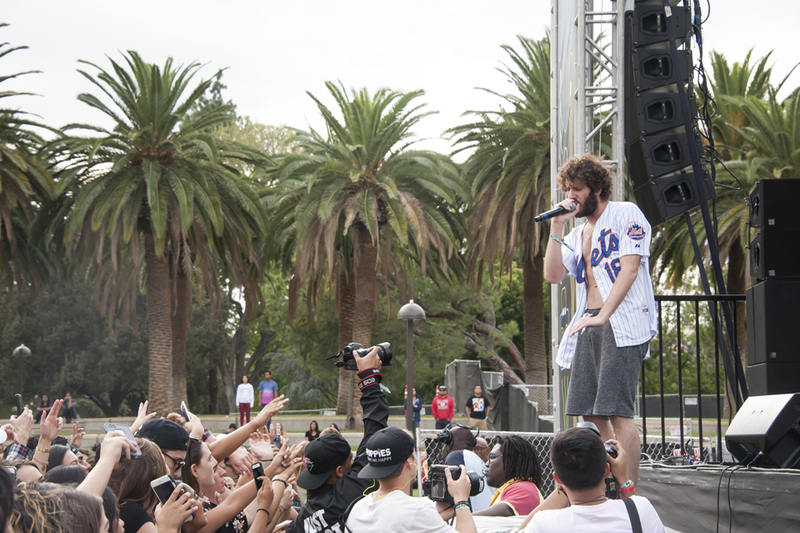 The Oviatt Lawn transformed into a colorful stage where DJs and performers took over the campus and brought CSUN an entertaining Sunday afternoon. Big Show offered students a break from studying for midterms as popular performers whom students voted for through social media took the stage from 1-5 p.m.
“It’s a great opportunity to actually be here,” said CSUN cinematography senior Bradan Toigo, who worked the event for the first time as a photographer for Associated Students. 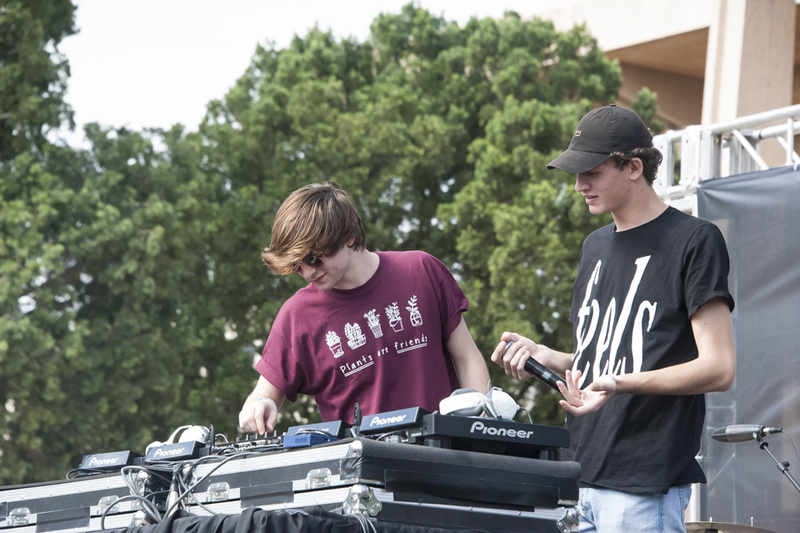 Musical duo Louis the Child opened the show and were followed by the band BØRNS, with Lil Dicky closing the afternoon out with a 60-minute set as the show’s headliner. 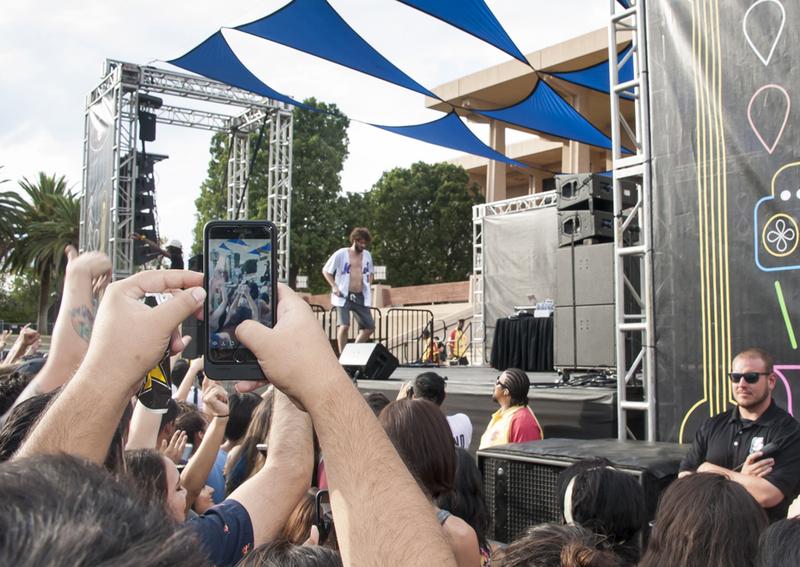 There was plenty to keep attendees busy in between sets, as food trucks were parked on Oviatt Lawn offering grilled cheese sandwiches, Korean barbecue, tacos, boba drinks and more. Rockstar Energy Drink also had a booth at the event, giving away free cans of the popular energy drink. 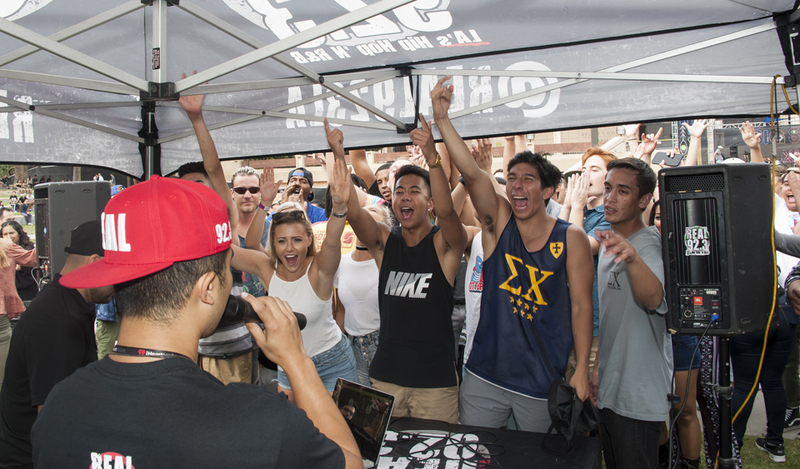 The Real 92.3 radio station was in attendance giving away T-shirts, hats and Knotts Scary Farm tickets. One lucky Big Show goer was given a free pair of Kanye West concert tickets after rapping to one of his songs, guessing his birthday right and also naming the city where the popular artist was born. The excitement and energy was high throughout the event as people danced to the music, jumped up and down, fist-pumped, dabbed and shimmied until it was time to go.